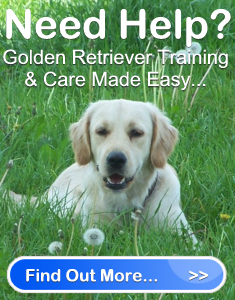 Golden Retriever Rescue Dog Advice And Info | Golden Retriever Savvy " "
Every Golden Retriever rescue is operated by volunteers. Rescues all over the world are looking for local dog lovers who want to get involved with their mission to provide abandoned Goldens with love, care, support, and eventually a new home. 1. Donate dog items: This includes anything from dog beds, crates, towels, toys, leash, collar, harness, food dishes, grooming supplies, etc. 3. Transport a dog: Either taking him to the rescue, to his new owner, or back and forth to the vet. 4. Make a donation – You can make a money donation directly to the Golden Retriever rescue, or give them a gift certificate to a pet store. 5. Spread the Word: Talk to all of your friends about adopting or sponsoring from a dog rescue, or write an article about the rescue and have it published in your local newspaper and on the World Wide Web. h. Offer them your constant support. 8. Give health care items: This includes providing heart worm pills, flea shampoo, canine first aid kit, etc. 9. Create and/or maintain a Golden Retriever rescue website – If you are not computer savvy, you can still donate computer paper, printer, ink, etc. to help. 10. Ask the rescue what you can do to help them: There are many other ways you can help a Golden Retriever Rescue. Therefore, if you really want to get involved, contact the local rescues in your area and ask them what you can do to make a difference.